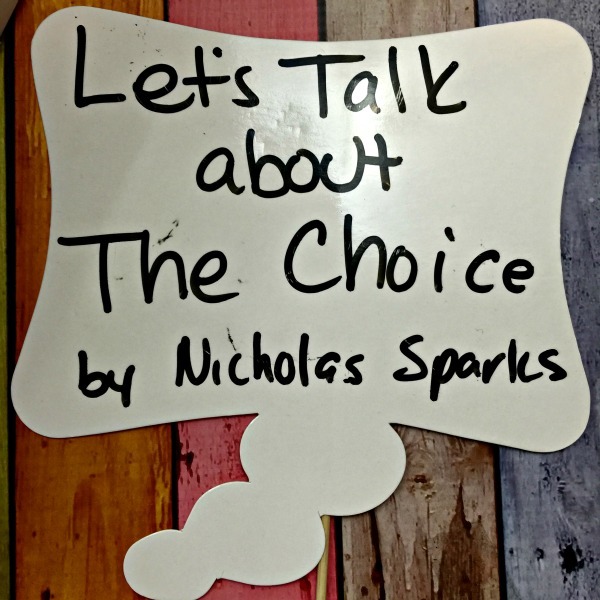 Why Nicholas Sparks "The Choice" Is A Must Read! 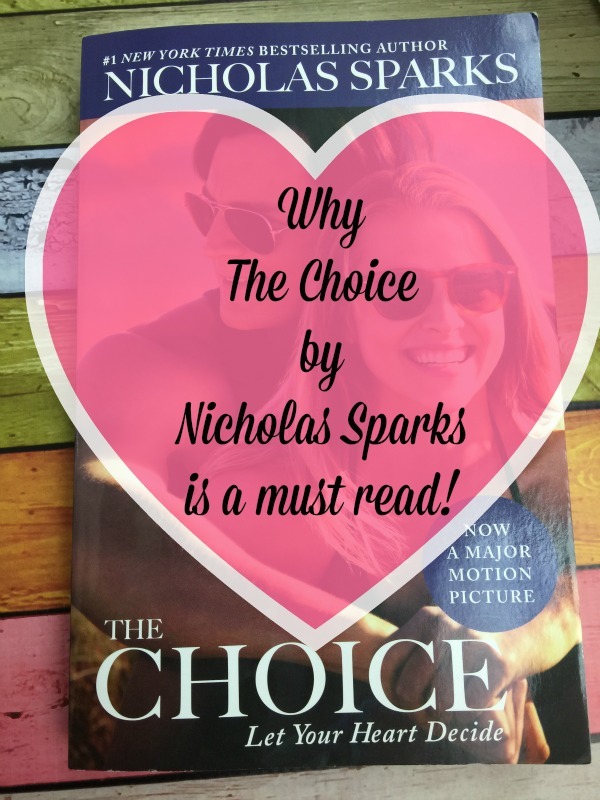 Why Nicholas Sparks “The Choice” Is A Must Read! I love a good romantic story; you know the kind with all the feels. Nicholas Sparks “The Choice” has ranked high up on my list of favorite books. As always, Mr. Sparks hits you right in the feels, every single feeling you could have, you will have when you read The Choice. I’m telling you to run to the bookstore right now and pick up The Choice. What exactly do I love so much about this book? Glad you asked! The characters. You will likely connect with every single character in this book on some level, even though the primary focus is Travis and Gabby I fell in love with every character in The Choice. The Feels. You will feel every emotion when you read this book. You will likely laugh, cry, get angry, hope, and so much more. As with all Nicholas Sparks novels, this one hits you right in the feels the entire way through. You’ll Get Deep. This book sets things in perspective and will remind you to hold onto the ones you love most, don’t ever take them for granted, and treasure every moment with them. Because you never know if it will be your last. It’s Now A Movie. I LOVE when they make Nicholas Sparks books into movies and tomorrow (2/5/16) The Choice will hit theaters. Check out the trailer, just in case you haven’t read the book to see what you can expect! I am so excited to follow Travis and Gabby’s adventure on the big screen and see how The Choice comes to life. I’ll be heading to the theater this weekend to check out The Choice. With a box of tissues in tow, of course. I’ll be sure to tweet my thoughts on if it’s worth a trip to the theaters, but if the book is any indication I would go ahead and venture to say it will be. Be sure to pick up a copy of The Choice to read, you won’t regret it! Have you read the book yet? Will you be going to see the movie?